I found this article http://www.nytimes.com/2007/12/05/education/05wiley.html?ex=1354597200&en=cbbab7037f7e562e&ei=5088&partner=rssnyt&emc=rss this morning during my weekly Sunday news feed read and I started recollecting on my dissertation topic, "Supports for and Barriers to On-Time Graduation as Perceived by Undergraduate African American College Students attending Historically Black Colleges and Universities and Historically White Colleges and Universities". My study was based on institutions that are located in Texas. After graduating from high school, I was selected to attend one of Wiley College's Summer Programs for college credit. Attending Wiley College was one of the most eye opening experiences of my life. I was immersed in almost a completely monocultural environment and I learned about the HBCU environment. While attending Wiley, I met one of the most supportive professors that I would have in my college experience and he enabled me to see how I could make a difference in the life's of students by becoming a professor. In my opinion, Wiley College is the best HBCU academic institution in the Northeast region of Texas. Even when I put my bias aside, the literature also alludes to this fact. 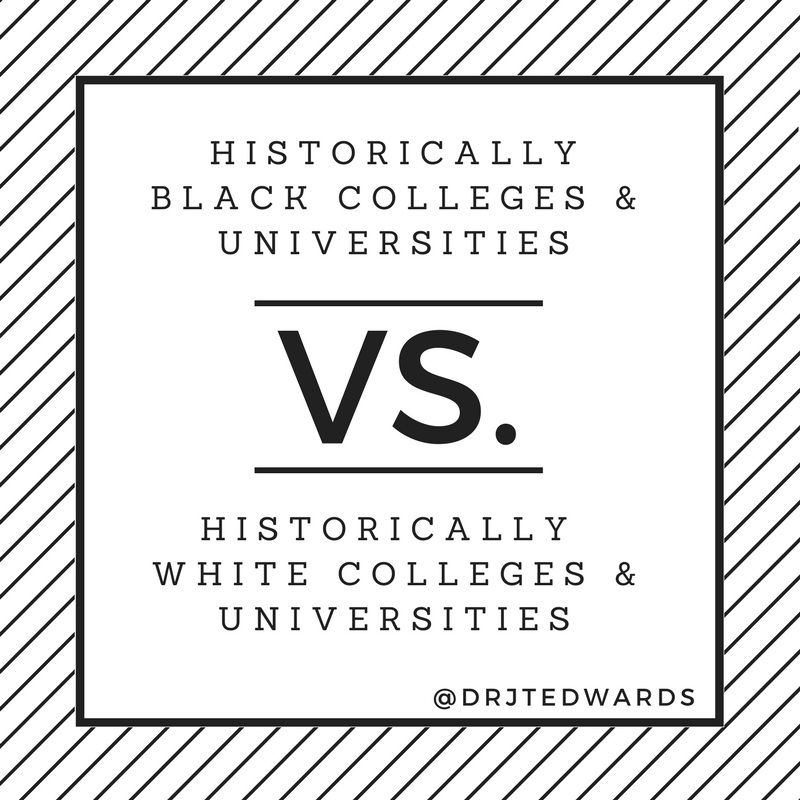 I think that HBCUs that have achieved a large level of academic success should be given more federal funds to sustain and increase their academic achievement rate. At the beginning of the fall semester, there were a few articles in the Chronicle of Higher Education that highlighted a current push by HBCU presidents to obtain more federal funding. What gives? 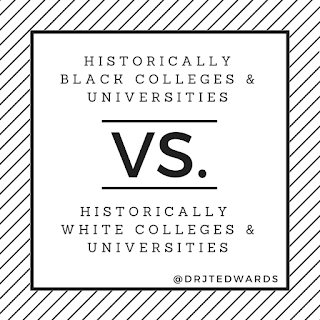 while looking at colleges I have come across a number of HBCU's, and if you google HBCU a list of different black colleges come up but if you look for white ones you are directed here. this is not a white college. does any even exist? Have we regressed to the point that we are afraid to talk about white places because of the fear of being reprimanded?